Baring last minute changes, there are indications that President Muhammadu Buhari may present the 2018 budget before the National Assembly. BusinessDay sources at the Presidential Villa, said the budget which is ready for presentation was being delayed because the Federal Executive Council was yet to approve it. “We stand by our plans to present the budget this October. So, as soon as it is approved, we will notify the National Assembly that we are ready for presentation,” a high profile source said. Our source also believe that the Mid Term Economic Framework 2018-2020, ( MTEF) recently forwarded to the National Assembly will be approved before the budget presentation. This is just as the budget has been listed as the only item for discussion at the Federal Executive Council (FEC) meeting fixed for tomorrow, Thursday. “@NGRPresident: Federal Executive Council (FEC) Meeting will hold tomorrow, Thursday Oct 26. Agenda is #Budget2018, which is currently being finalized.” according to the statement on twitter, Wednesday. Dakuku Peterside, director general of the Nigerian Maritime Administration and Safety Agency (NIMASA), has called on Nigerian investors to key into the opportunities in the nation’s blue economy, which is now the world’s fastest growing sector that has enormous potentials. Peterside, who made this appeal at the just concluded 23rd Nigerian Economic summit (NESG) themed “Opportunities, Productivity and Employment: Actualizing the Economy Recovery and Growth Plan,” said that the length of the nation’s coastline and the attendant volume of maritime trade provide Nigeria an advantage as a developing nation. However, he stated, that stakeholders must actively participate in the sector in order to reap its benefits. “Developing the blue economy is paramount across the globe now, and the public and private sectors have to collaborate to sustainably harness the potentials of our maritime sector for the benefit of the Nigerian economy especially in the wake of the Federal Government’s economic diversification drive,” he said. The NIMASA boss, who was quoted in a statement signed by Isichei Osamgbi, head, Corporate Communications of the NIMASA, also said that it was high time Nigerians begun to tap into the opportunities embedded in the maritime sector, adding that economies of countries like Singapore, Ukraine and South Korea thrives on the activities of their maritime sectors. Peterside, however, pointed out that an improved maintenance culture, adequate data management and statistics as well as articulated actions from stakeholders backed up with political will, can make Nigeria a leading light in the comity of maritime nations. Peterside further advocated for synergy among stakeholders, stating that NIMASA with the support of the Federal Government is working assiduously to ensure that Nigerians reap the benefits that are bound in the sector. He also said that the newly approved maritime security architecture will effectively reduce piracy and other related sea crimes to ensure safety of shipping. The Nigerian Economic summit serves as a platform where stakeholders from both public and private sectors can converge to chart a way forward for the development of the Nigerian economy. Jalal is an Iraqi telecoms executive with fluent English and a Harvard degree. His wife is a surgeon. Well-off by any standards, they have always loved to travel, and have a particular fondness for Lake Como in Italy. But their Iraqi citizenship has often caused them visa problems. So, a few years ago, Jalal (not his real name) and his wife applied to become nationals of a second country: Antigua. After ten months of form-filling and “due diligence” (background checks and the like), they ploughed several hundred thousand dollars into property and a development fund on the Caribbean island, and in return got passports which entitle them to visa-free travel to 130 countries, including most of Europe. They send the citizenship consultant who helped them become Iraqi-Antiguans a card whenever they are in Como, to show their continued gratitude. Francesco Corallo went one better in the Caribbean, for very different reasons. An Italian businessman on an Interpol most-wanted list, he bought himself a diplomatic passport from Dominica and tried to claim diplomatic immunity on the grounds of being the island’s permanent representative to the UN Food and Agriculture Organisation. He is now in custody in St Maarten, a tiny Dutch territory in the Caribbean, facing extradition to Italy on charges of tax evasion and bribing politicians. One a meritorious executive looking to overcome travel barriers erected with others in mind, the other a wanted man: both are customers of the passports-for-cash business. Providing citizenship or residence permits in return for a financial contribution generally gets a bad press for offering a perceived back door to criminals, but, like offshore finance, it spans a wide ethical spectrum. How much is black and how much white is anyone’s guess because data are patchy. Peter Vincent of Borderpol, a border agents’ association, estimates that perhaps 1% of the industry’s clients are human-rights violators, money-launderers or other fugitives from justice, and the other 99% mostly jet-setters or “doomsday preppers” (from countries that are politically unstable or threatened by climate change). Supply has risen to meet this demand. Between 30 and 40 countries have active economic-citizenship or residence programmes, says Kälin, and another 60 have provisions for one in law. Some demand a straight cash donation, others investment in government bonds or the purchase of property. Some take a longer-term view of the potential economic benefits, offering passports to entrepreneurs who will set up a local company and create a minimum number of jobs. The required investment ranges from upwards of $10,000 (Thai residence, for instance) to more than $10m (fast-track residence in Britain). In some countries the original investment can be withdrawn after several years. Caribbean nations are particularly accommodating. The islands’ colonial past means that they tend to have wide visa-free access; their small size means that rich countries haven’t felt the need to restrict their citizens’ access; their poverty means they need the cash. St Kitts and Nevis helped pioneer the business over a decade ago, after the removal of European subsidies clobbered its sugar industry. It has since sold more than 10,000 passports at $250,000 or more a time – a sweet earner for a pair of islands with 55,000 people and GDP of $1bn. Neighbouring Dominica pumps out passports at an estimated rate of around 2,000 a year for as little as $100,000 a time. Vince Henderson, Dominica’s UN ambassador, described the scheme as a “lifeline” after the island was hit by Tropical Storm Erika in 2015. In 2017, $148m of the country’s budget of $340m will be raised by the citizenship-by-investment programme. Antigua’s prime minister has said its passports-for-cash programme helped it avoid defaulting on its debt. Pacific islands are also touting for business in the hope of patching up weather-beaten public finances. Vanuatu even throws in goodies with its passports, including a free shell company and bank account. 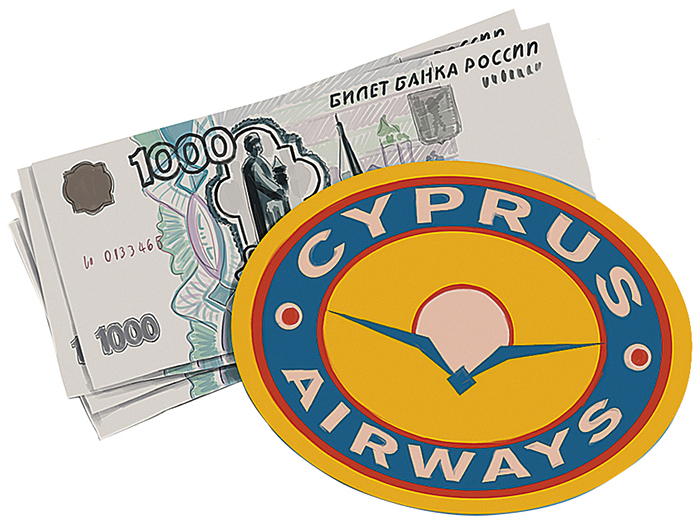 The industry’s biggest leap forward was the entry into the game in recent years of European Union countries, notably Malta and Cyprus. Cyprus advertises “EU citizenship within a few months”, with all the perks, including Europe-wide health care, and with no requirement to live on the island or pass history or language-proficiency tests. The tax benefits are alluring, too. The price is fairly steep: €2m, to be invested in securities or property. The programme explains most of the Russian- and Chinese-owned villas popping up across the island. Malta is cheaper: at least €650,000, with another €25,000 per spouse or child. But it is also more rigorous. The vetting process takes a year or more, and around a third of applications are said to be rejected. A single contribution can exceed what the average Maltese pays in income tax over a lifetime. The government has approved more than 1,400 applications. The programme limit (in theory) is 1,800. Around half a dozen other countries are looking to get in on the act. Having failed to get a programme off the ground a few years ago, Montenegro – which could join the EU by 2022 – has just relaunched it. St Lucia recently joined the fray, offering a passport and visa-free travel in return for various investment opportunities. But the industry is troubled by its “optics”. Iranian sanctions-busters have been caught with St Kitts passports in their pockets; Jho Low, a suspect in the huge corruption scandal around 1MDB, a Malaysian fund, had one too, say American investigators. “Processing more than a few hundred a year in such small, resource-constrained countries is sure to result in slippage in terms of who you accept,” says a consultant familiar with the Dominica programme. The OECD has identified citizenship-for-sale schemes as a possible loophole in the fight against international tax evasion. Anti-corruption officials worry they may foster graft, particularly in micro-states, where oversight of officials running schemes is typically flimsy. 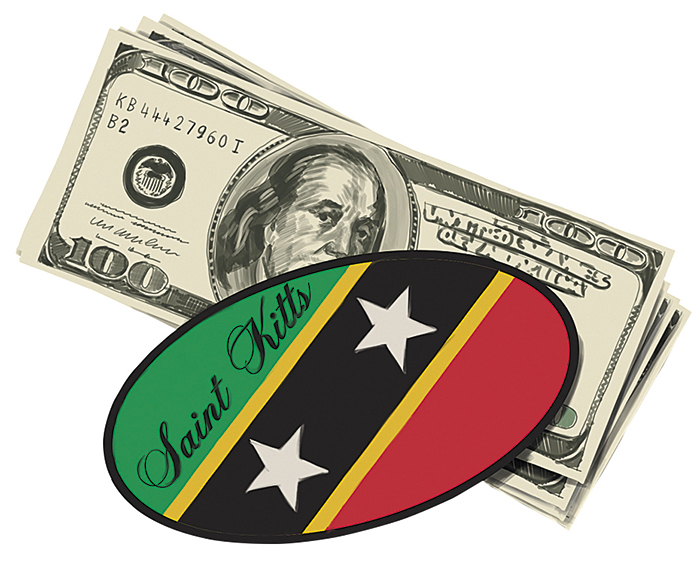 St Kitts is trying to regain credibility. Under international pressure, the government recalled thousands of passports and issued new, more detailed ones that made it harder to conceal the holder’s identity. That drastic action was prompted by Canada’s decision to rescind visa-free travel for Kittitians and Nevisians (it has since withdrawn the privilege from Antigua, too). Keen to show it is changing its ways, St Kitts hired an international risk-management firm to audit its programme. Small-island schemes are not alone in attracting the wrong sort of headlines. Rich countries tend to offer residency instead of (or as a first step to) citizenship. 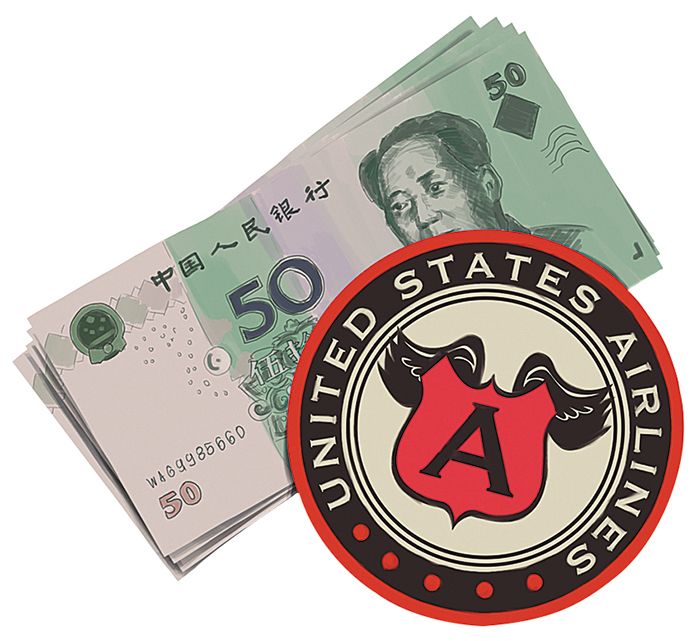 The largest of those, America’s EB-5 programme, has a chequered history. It gives several thousand foreigners a year the right to live and work in the country if they invest $1m – or half as much in a “targeted” high-unemployment zone – and create at least ten jobs. Several projects have been exposed as frauds. The use of EB-5 by Jared Kushner, President Donald Trump’s son-in-law, to lure Chinese investors into his family’s development projects has also tainted the programme. Some senators want it scrapped. Congress is due to decide soon whether to extend it. Rich countries are keen to draw a sharp line between themselves and overt citizenship-sellers, but “the difference is increasingly one of degree”, says Jason Sharman, a professor of international relations at Cambridge University: since the global financial crisis, half of all OECD countries have started selling some sort of visa, residency or citizenship permit. In Britain, the more the investor shells out (up to a maximum of £10m), the faster the track. In the middle of a late-afternoon interview in a suite next to the conference hall of the Grand Kempinski Hotel, Geneva, Christian Kälin stopped to order some bananas. Back-to-back meetings, he explained, meant he had had no time to eat. When in London, he spends much of the time at the same table in a dark corner of the restaurant at Claridges, a swanky hotel, hosting one client or contact after another. As the passport industry has grown, it has gone upmarket. It used to be dominated by small firms hawking their wares through classified ads in business magazines or developers selling beach houses with residence rights attached. These days it is part of the business of serving “high net-worth individuals”. Providers range from international consultancies such as Henley, Kälin’s company, to banks with big private-wealth operations, including UBS as well as HSBC. Canadian banks are active too, having cut their teeth at home: Canada was an early seller of residence, inspired by a scheme in Quebec, popular with Asians and Iranians, that helped lift the province’s economy in the 1980s and 1990s. More recent entrants include big accounting firms, such as KPMG and BDO, and law firms. Mischcon de Reya, a high-end London law firm, offers a suite of “VIP”-branded services, including “VIP Student”, and a “holistic service” for those looking actually to move with their new residence rights, “to ensure a seamless transition to the UK for you and your children”. This includes a concierge service for everything from buying school uniforms to decorating a new property. Kälin cut his teeth selling residence in various Swiss cantons and Canada, along with a smattering of Austrian passports. His big break was persuading St Kitts to allow Henley to rewrite its citizenship laws and design and market its passport programme. Several struggling Caribbean economies followed – including Grenada as well as Antigua and Dominica. Henley picks up fees for advising both private clients on citizenship planning and governments on setting up their programmes. In some cases, it gets a cut of each successful application. (The firm does not disclose revenues.) “If you operate globally, you have to have more than one passport,” Kälin says, but declines to reveal how many passports he holds himself. As it goes upmarket, the industry is rebranding and euphemising. In 2014 some of the big firms formed a trade association, the Investment Migration Council (IMC), which holds events and publishes weighty reports designed to increase credibility in the eyes of regulators and the media. It insists it is not in the “passports for sale” business, but in “CBI” (for “citizenship-by-investment”) or, even more legitimate-sounding, “investor migration”. Consultants talk of “facilitating global talent mobility”. Last year the IMC joined Transparency International, an anti-corruption group, to produce a critical report on Hungary’s residence-for-cash programme, whose benefits seem to have gone to intermediaries rather than the taxpayer. Kälin says the IMC is “about setting standards. It’s like oil: do we want to be Norway or Nigeria?” Critics say he uses the association to plug countries whose programmes Henley helped craft and bash those it didn’t. He denies this. Some of the rebranding effort has gone into developing an intellectual justification for selling passports. Kälin argues that ideas about what forms the basis of citizenship have constantly evolved. To view it as being purely about ius soli (“right of the soil”, ie, for those born in the territory) or ius sanguinis (a blood link) is outdated. Kristin Surak, a migration specialist at the School of Oriental and African Studies, University of London, notes that the European Union Observatory on Democracy’s citizenship database lists 27 grounds for acquiring citizenship. Why shouldn’t ius pecuniae be among them? It has been in the past: German and Italian merchants who contributed to empire-building were granted British citizenship in the 18th century. The most energetic and eloquent proponent of this line of argument is Dimitry Kochenov, a constitutional-law expert at Groningen University who works closely with Kälin’s firm, for instance on a global quality-of-citizenship index. A tousle-haired Russian known for his quick wit, bow ties and garish trousers. Kochenov is a “rock star” of the citizenship-by-investment world, says Stéphanie Laulhé Shaelou, a fellow academic. At a recent IMC conference in Geneva, Kochenov’s zeal was unmistakable as he chaired the opening session. “We are piercing tiny holes in the fences erected by nation states,” he proclaimed. “Our industry’s simple goal is to re-unite the world, and we should be proud to profit from it…We help people cross barriers and contribute to the societies of their choice.” He worries that populism and nationalism are raising those barriers. Brexit and Donald Trump’s ban on travellers from several Muslim-majority countries are the current bêtes noires of the passport-selling fraternity. Kochenov did not go into the causes of the rise of nationalism, but some of them were sitting in the conference hall of the five-star Grand Kempinski, applauding his speech. Those expensively suited purveyors of passports to plutocrats embody – and encourage – the footloose globalism that has helped spark a nationalist backlash. In the eyes of many less fortunate souls, they enable the global elite to slide unimpeded between countries, moving on when things get tricky, taking what they can get and often giving nothing of themselves except money in return. The industry has to wrestle with the widely held view that citizenship is not purely transactional but has an important cultural and emotional component too. The idea that it can be bought sits uncomfortably with the belief that a sense of belonging matters. While people are keen on foreigners’ cash if it is likely to help the nation’s bills or fuel its economic growth, they feel uneasy about their government selling citizenship in the same way as they feel queasy about offering it to a foreign athlete with no connection to the country, solely to boost its medal count in the Olympics. On this view, citizenship shouldn’t just be a passport: it should be a commitment as well, carrying not only rights but also responsibilities. The typical passport buyer is unlikely to settle, will care little about her new country’s politics and will have no interest in defending its values. Unless her new citizenship is American – the United States is particularly hot on extracting taxes from all its citizens – she may well pay her new nation no taxes. The normal means of acquiring citizenship acknowledges that there is a cultural component: naturalisation typically takes years and requires an applicant to establish a real connection to their new country. An industry whose main purpose is to allow people to skip those queues does not. The citizenship brokers counter that hostility towards flogging passports is born of reflex nationalism; some people just can’t abide the concept of global citizenship. Buying a short cut to citizenship, they argue, is no different to splashing out for speedy boarding or a first-class bed on a plane – and more socially useful, since it shovels cash towards poor countries. Why shouldn’t a passport be just another commodity, if neither the government issuing it nor those already carrying it have no problem with that? These complex sentiments about nationality are making themselves felt through tighter regulation. The European Commission says it will look more closely at passport-selling. It blessed the Maltese and Cypriot schemes, but with reservations. Malta won approval after promising to ensure applicants would be forced to establish a “genuine connection” with the island. But the definition is elastic. Kim Marsh, a former police investigator now with Exiger Diligence, a compliance firm, points to rising public scrutiny of how businesses deal with “politically exposed persons” and other rich but potentially disreputable clients. He predicts that citizenship consultancies will be forced over time to “become reporting agencies, as banks have with tax”. Tighter regulation is hitting Chinese demand. Although China does not allow its citizens second passports – those who buy them have to be discreet, for instance by keeping their other passport in a safe-deposit box in Hong Kong – the Chinese are big buyers of most schemes. They snap up around 80% of America’s EB-5 permits. But there are signs demand is softening, says Larry Wang of Well Trend, one of the largest of China’s 1,000 or so legal immigration consultancies (there are perhaps ten times as many without licences). Rising living standards at home are part of the explanation, as are tighter currency controls. Yet hostility to the industry is not necessarily improving outcomes for the countries involved. It may be reducing the benefits to the sellers. One reason for schemes involving investment rather than cash is that a straight sale “lays bare that it’s a naked transaction”, says Madeleine Sumption of the Migration Observatory at Oxford University. But a passport-for-cash deal is normally better for the country that is issuing the passports: unlike EB-5-style investments, the government can be sure the money is really there and that it won’t be withdrawn later. For the industry, though, the prospects are good. Kochenov is encouraged by the spread in Europe, the Gulf and elsewhere of “inter-citizenship”, where citizenship of one country allows free movement across a larger bloc. A passport which gives access to that bloc is correspondingly more valuable: Malta’s status as an EU member state, for instance, enhances the appeal of citizenship. Kälin reckons that “we’re part of a wider trend in our favour.” He’s probably right. When there is trouble in the world, there will be demand for extra passports; where there is strain on government finances, there will be supply. Neither looks like drying up.